Still in the Inland Sea, we anchor off the tiny island of Miyajima, population about 15,000. A bit like Airlie Beach, the approaches are shallow so we Zodiac into a sandy beach at high tide, and walk along the foreshore. 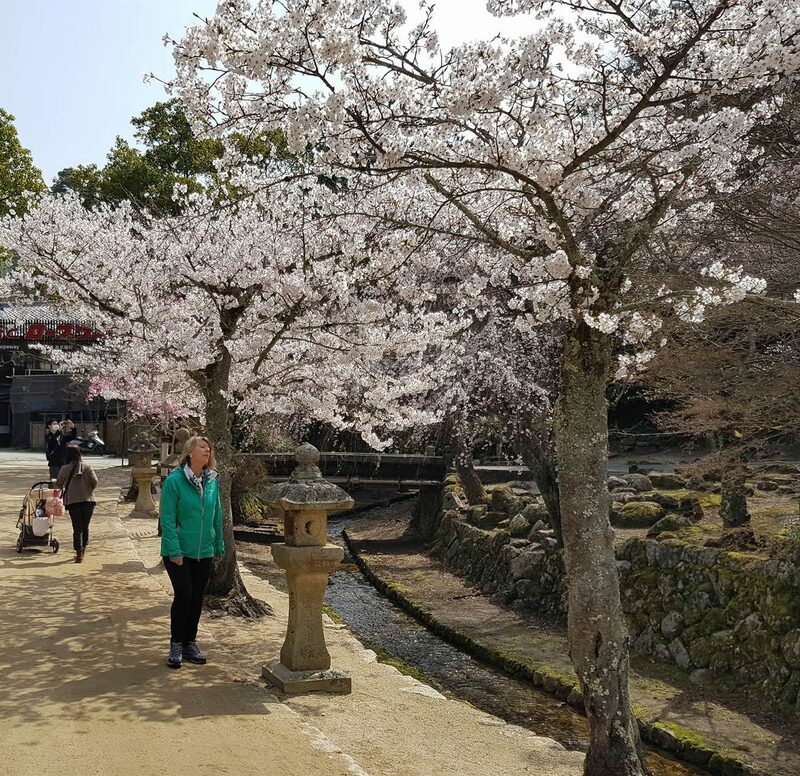 Around a little headland we are presented with an absolutely beautiful little town, cherry blossoms blazing. Its main feature is an open winding wooden structure built over the water (at high tide) used for functions, weddings, and just wandering around. 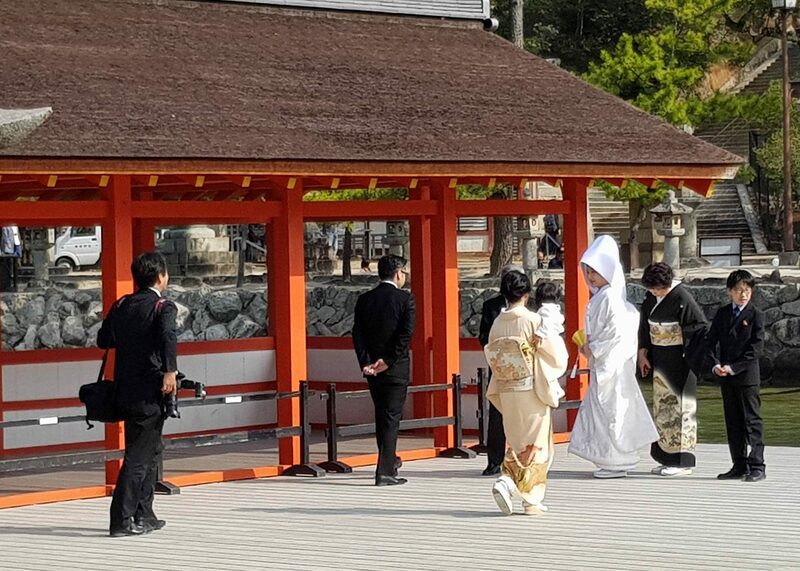 A traditional wedding is under way as we walk around. At low tide fresh water bubbles up through the exposed sand, forming small ponds. The gate leads to the Itsukushima shrine, so we climb up to this old structure and its incredibly detailed gardens. The buildings are reminiscent of Bhuddist shrines in Tibet, and prayer wheels form central handrails to the stone steps. 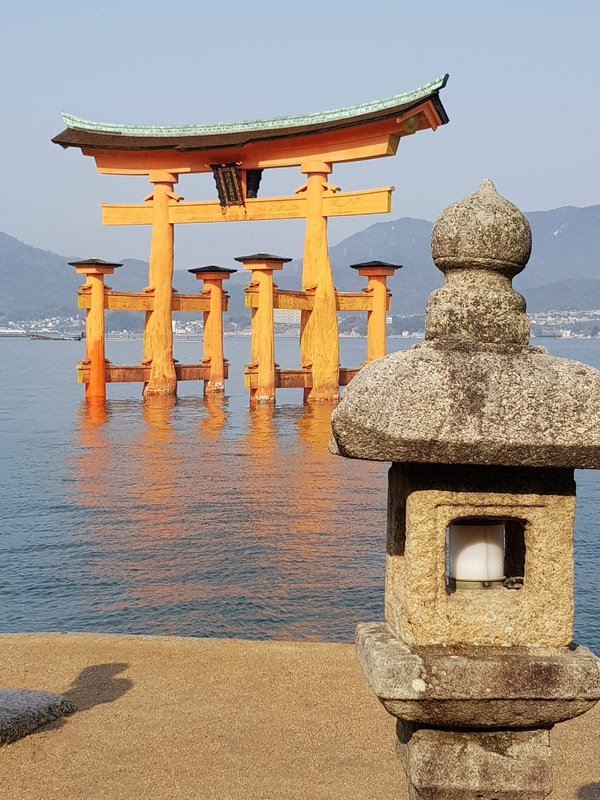 Known as The Shrine Island, Miyajima boasts one of the three most beautiful views of Japan, the floating Tori Gate, dating back to the 6th century. 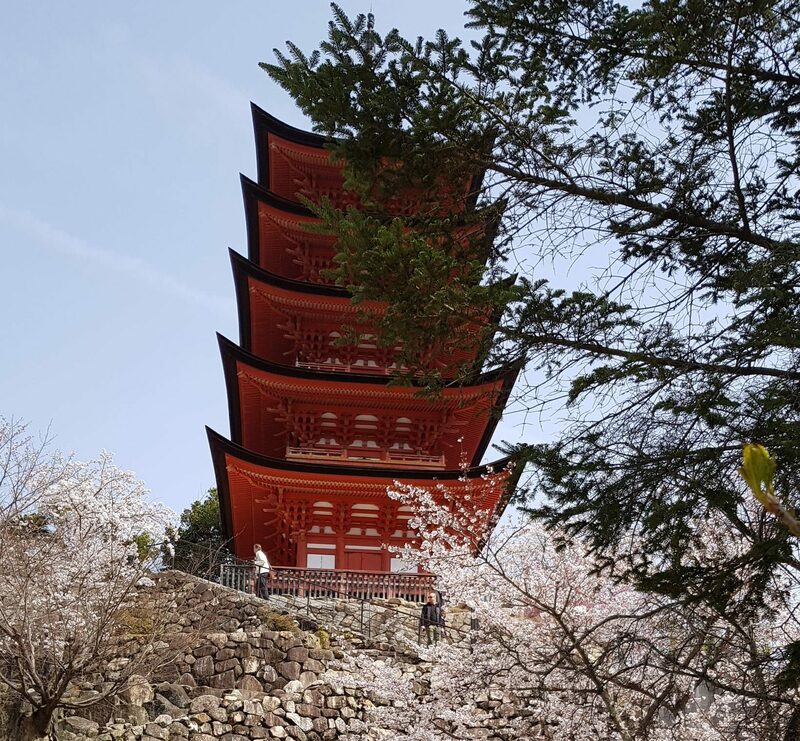 Built of camphor wood from huge trees, it presents a maintenance problem because every old camphor tree in Japan that’s big enough for the job is separately heritage listed.